Reviewing our website is great, but the best way to learn about Point O'Pines is to come visit. Already planning to visit? Find out how to get here whether you’re flying or driving. We know that the decision about where to send your daughter to sleepaway camp can be difficult to make. As you go through the process of choosing the right camp for your daughter, we would love to get to know you better. Whether it is over the phone, on a tour of camp, or at a meeting in your home, we believe that it is essential for us to understand your expectations for your daughter’s summer camp experience. We also want to better understand the hopes and dreams your daughter has for her summers at sleepaway camp. 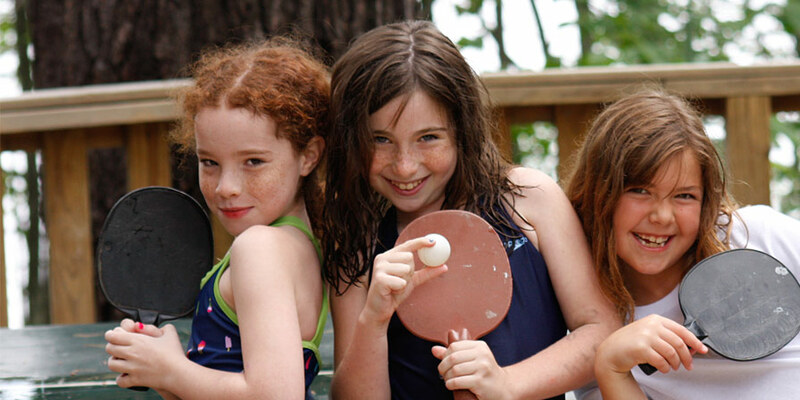 Although the Point O’Pines experience appeals to many different types of campers, we want to help you determine whether or not Point O’Pines is the best fit for your family. By enrolling your daughter at Point O’Pines, we know that you are trusting us to safeguard her physical, emotional, and social well-being. When you send your daughter to Point O’Pines, you are delegating a part of your parenting role to our team of directors. We take this responsibility very seriously and believe it is essential that you get to know us and our parenting philosophy before you make the decision to send your child to Point O’Pines. We welcome your communication so you can better understand the conscientious parenting role we perform for our campers. Once you have made the decision that you want your daughter to attend Point O’Pines, you can begin the enrollment process by completing the online enrollment form. Upon receipt of this form, we will contact you with the next steps in the process. Choosing to enroll your daughter at Point O’Pines is the beginning of an exciting journey with the Point O’Pines Family. We look forward to engaging in an ongoing conversation with you about your daughter’s individual needs and goals throughout her time at Point O’Pines. Additionally, before her first summer at camp, Sue or Erin will meet with your family to get to know you better and help you prepare for the Point O’Pines experience.